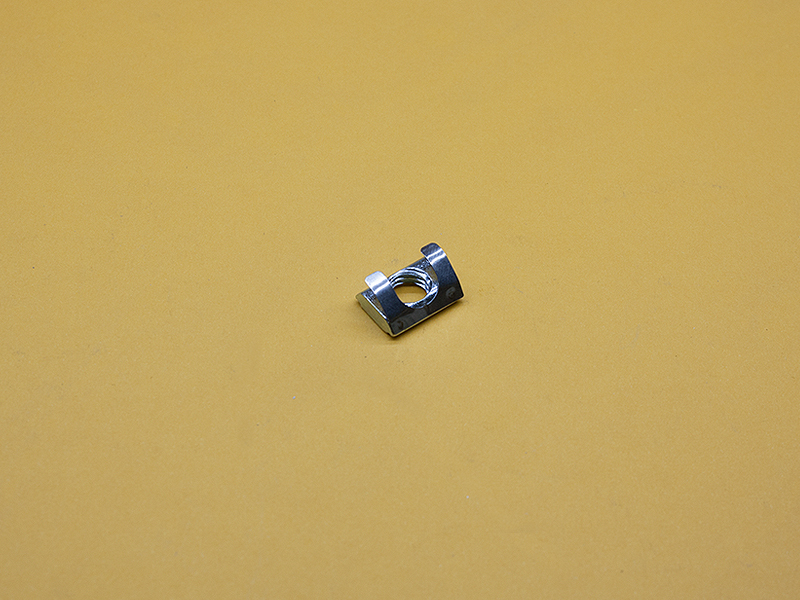 The T-Nuts will fit in the 30 Series / 8mm slot extrusions and can be loaded from the side or the end. 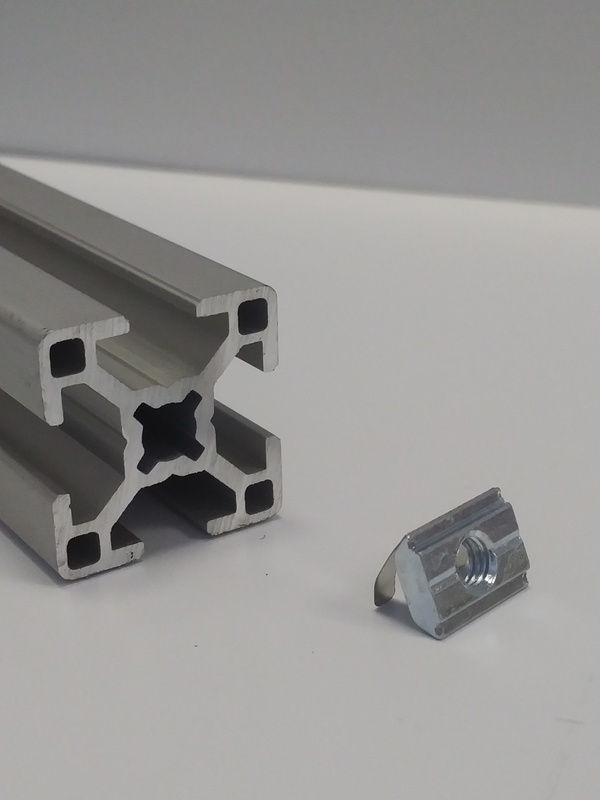 These Nuts are great for when the extrusion ends are not accessible or when having the T-Nut remain in place in vertical applications. 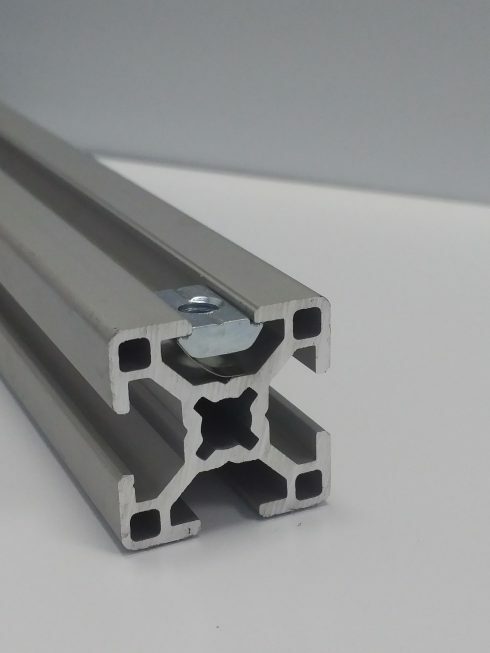 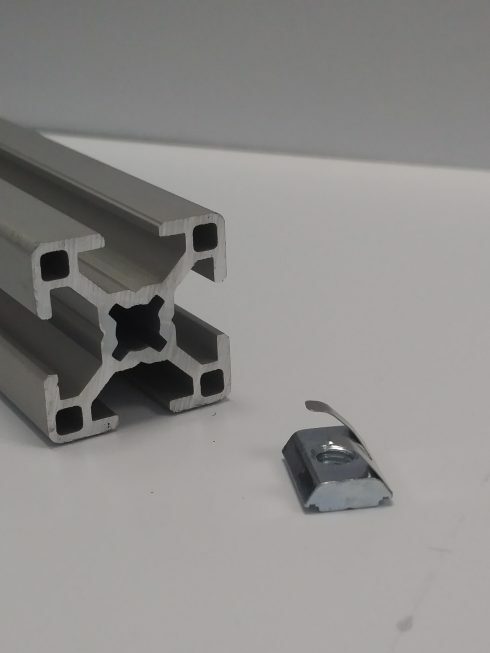 They will fit 30 Series or most 8mm T-Slotted Extrusions.